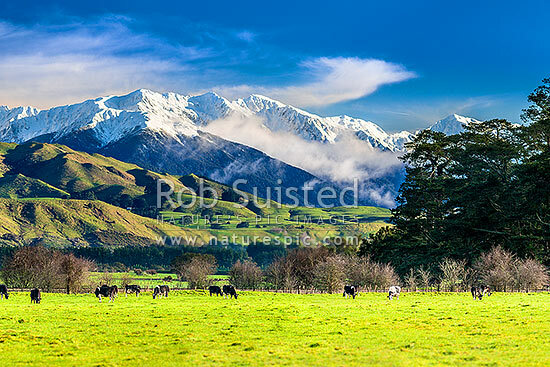 Tararua Ranges above grazing dairy cattle on lush Wairarapa farmland near Masterton. Fresh winter snowfall above. Foreground cows in focus, Waingawa, Carterton District, Wellington Region, New Zealand (NZ), stock photo.